REV Group has more bus models “go round and round” than any other company. With names like Krystal, Federal Coach, Champion Bus, Goshen Coach and Collins Bus, REV keeps our nation moving smoothly as one of America’s most reputable bus companies. Built like a Champion, you’ll find heavy-duty safety and industry-leading innovations in these light- and medium-duty commercial buses. Dedication, performance and achievement drive this brand. In addition to its commercial bus line, Collins has been the nation’s top Type A school bus manufacturer since 1967. Collins has built the “Next Generation Bus” with an extreme focus on child safety, flexible seating, lower emissions and lean manufacturing. 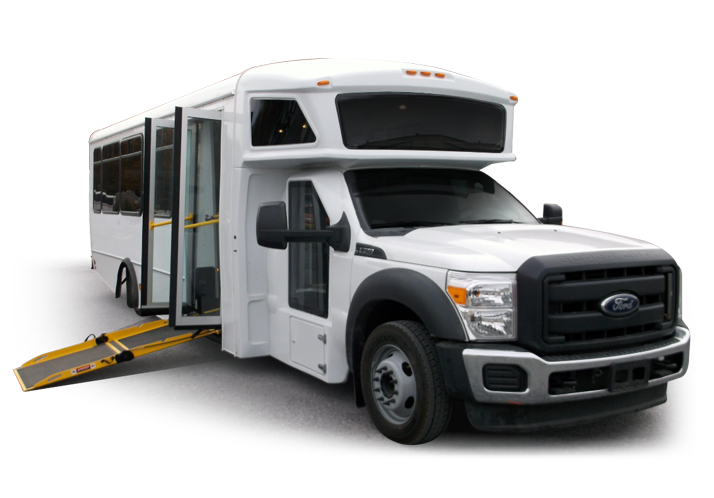 ElDorado builds honeycomb composite fiberglass and steel light- and medium-duty commercial buses for paratransit, public transit, university transport, airport parking, group tours, hotel shuttles and assisted living services. With a variety of fuel systems, plus hundreds of optional features and available seating configurations, ENC accommodates most any heavy-duty transit bus design, featuring low and standard floors. 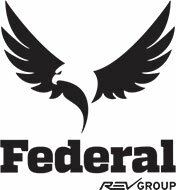 The world’s fastest growing luxury bus brand, Federal Coach offers painstakingly crafted non-CDL limo buses on the Ford and Freightliner chassis, ranging in capacity of 12 to 44 passengers. With 30 years of experience and 35,000 light- and medium-duty buses on the road, Goshen Coach builds buses with fully welded, steel cage bodies on a variety of chassis options and services fleets of all kinds. Meet today’s Krystal — an ultra-premium luxury bus with steadfast, renowned support thanks to its new, dedicated production line at the Imlay City facility. You’ll find only top-of-the-line upgrades in Krystal. Engineered to be lighter, stronger and safer, REV’s newest bus manufacturer, World Trans, gives customers a quieter, more fuel efficient bus with less waste in a wide- and narrow-body design. REV’S world-class manufacturing facilities span the United States, covering more than 4 million sq. ft. of space. From Southern California to the Great Lakes region, REV’s manufacturing footprint focuses on operational excellence throughout its four dedicated bus facilities. Bus safety — always: When it comes to passenger safety, no detail is overlooked among these REV bus manufacturers. From the latest safety innovations to Altoona’s most stringent durability tests, safety is REV’s No. 1 Point A to Point B priority. Decades of experience: For decades, REV’s bus brands have answered the commuter call with a focus on quality and service. This dedication has propelled each manufacturer to the top of its respective market, making REV the best in school, transit, commercial and luxury buses. The finest bus innovations: From first-in-class suspension systems to benchmark luxury bus features, the REV Bus Group knows a thing or two about innovation. In fact, REV leads the way in alternative fuel solutions with its propane autogas and compressed natural gas systems. Bus financing: For bus financing, look no farther than REV Group. REV offers flexible lending options, including commercial loans, municipal financing and leasing programs. Some solutions include 24- to 120-month loan terms, 100 percent financing and a seasonal payment structure. Services. Buy or lease, REV offers a number of financial solutions..